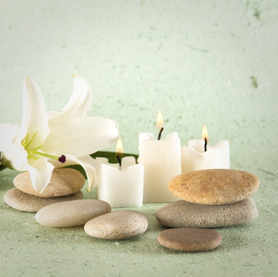 Holistic Massage is a beautiful modality. Whether you want something to help relax you and wind down OR something a bit more specific to roll away those tensions and muscle aches, then I can provide the perfect holistic therapeutic massage in my beautiful treatment room on the Hove/Portslade borders. Being a Kinesiologist and Reflexologist I also work on the principle that "where it is it isnt" meaning that the pain isnt necessarily the site of the problem. So being aware of lymphatic points that stimulate muscles I can also massage specific kinesiology lymph points as well as easing the site of discomfort - AND use reflex points on the feet where appropriate 3 massages for the price of 1...!! !